Pia was approached by Greenfields Housing Association, who were keen to ensure that all tenants could access the information in their newsletter. 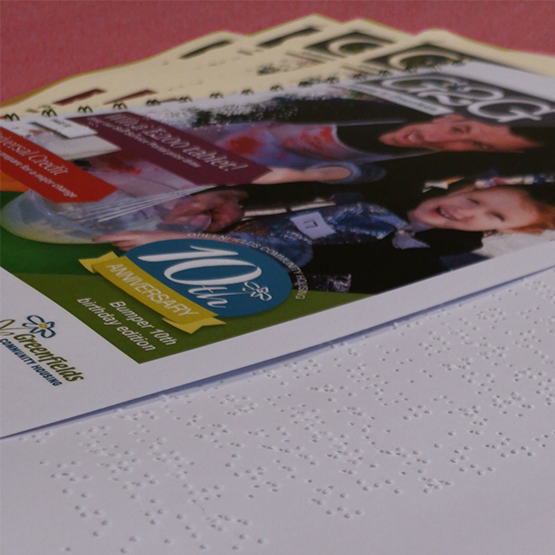 Pia transcribed and produced the newsletter in a large print, braille and audio version. These versions were then sent out to tenants who could not access the standard print versions. We can supply samples of our work, please Contact Us to request a sample pack.